The sun salutation is a great warm-up. It warms up the spine, the muscles, hips and shoulders, brings flexibility, and helps to focus attention. Where Did You Learn to Salute? As I mentioned here in my last blog post, there are many reasons to introduce kids to the Sun Salutation. There are also many variations of Sun Salutations too. I recommend you do the one that you know and are comfortable with in your kids class. In my experience Sun Salutations are best done with kids ages 5 and up, perhaps younger kids will pick it up with practice. One time I was teaching to a group of toddlers in a daycare and we did a big standing stretch with arms up in the air (like at the beginning of Sun Salutation). One of the older kids in the group (2 years old) lost his balance. Before you know it, he fell forward, taking a few steps and face-planting into the bookshelf. Yikes! No permanent damage – but we all felt bad! There is a lot of balancing in the sun salutation that you don’t realize. Kind of like how we don’t think of walking as balancing until we see a one year old learning to do it. So anyone who had learned to walk in the last few months to a year may loose their balance while they are stretching. Fortunately, a few minutes and tears later, our little yogi rejoined the class and was back at it. They are a resilient bunch. Sun Salutations also require co-ordination to keep track of what leg was forward which time, and how to move the body from one pose to another. Kids under five will need some time to learn it, it may work best to try each pose individually over a few classes before you put them together. I started doing yoga at the local YMCA and didn’t know there were different kinds of yoga! Neither did my parents, so my first yoga book was from the Sivananda Yoga Vedanta Centre. It turned out I was doing Kundalini Yoga. That didn’t stop me from enjoying the gorgeous pictures in this book. Even now, I refer to this book when I’m looking for information about a pose. It even has a great Sivananda Cookie recipe in it that I have made many times.Plus it had the version of the Sun Salutation I use with kids – with great pictures. 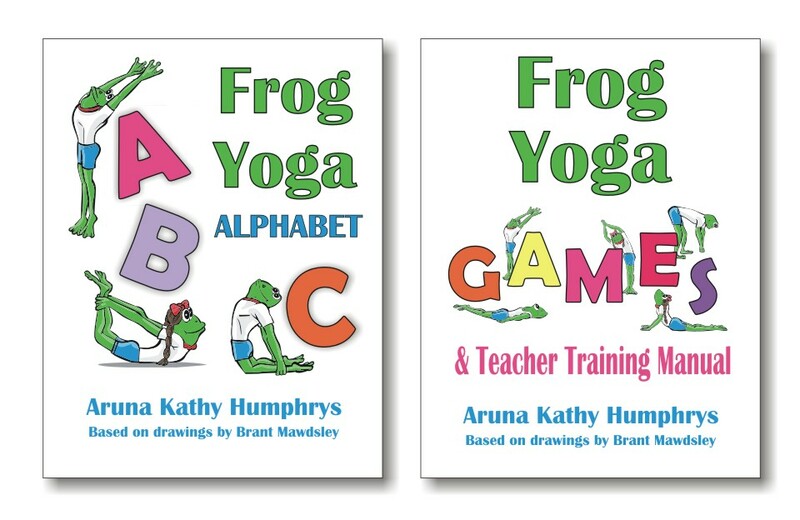 I learned my first sun Salutations from a book as a lot of people did before yoga was really popular.Sometimes I bring this book to my yoga class and show the kids one of the poses (that I’m not close to doing) just to blow their minds away a little and also inspire them. Slow practice of Sun Salutation with relaxation, concentration on breath could be helpful.